Remember that post I wrote about the Ethiopian calendar? It’s a little strange to find ourselves in 2005 again. Here’s another oddity of the space-time continuum – Ethiopians don’t measure daily time the way we do in the west, either. 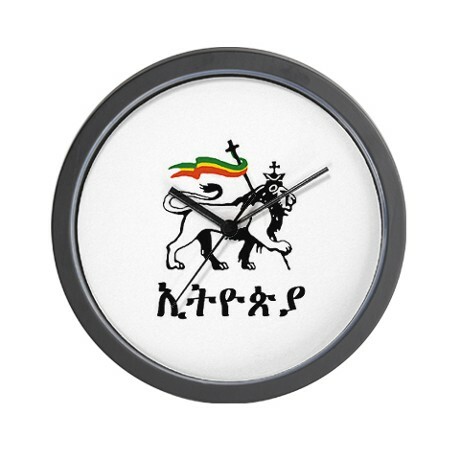 The Ethiopian clock is 6 hours different from our clock. I am not talking about time zones. I mean that if we start school at 8 am faranji time, that is 2 in the morning Ethiopian time. The Ethiopian clock is divided into 24 hours like ours, but instead of starting the new day in the middle of the night as in the West, here the changeover occurs at what we would call 7 am, and what Ethiopians call 1 o’clock (well, here they actually call it ahnt se’at ke tewatu.) – so another difference is that the hour between 12 and 1 belongs to the previous day. Confused yet? Luckily ICS uses the western style of timekeeping, so we don’t have to maintain two sets of clocks to get ourselves to work on time. But it is essential to recognize the difference when making plans with taxi drivers, housekeepers, and other local people. We always specify faranji time or Ethiopian time. We don’t do daylight saving here; at least once we figure out how to set the clocks, we can leave them that way. Just forget the whole thing and buy an Amharic clock with no numbers. I love it! I want to begin the day at 1. It makes total sense. OK. Maybe zero would make even more sense, so that when one hour of the day has gone by it would be 1. Starting the day at 5 or 6 or 7 really makes no sense. It reminds me of the Humanities Bldg. at NMHS where the classroom numbers do not go in order. 23, 24, 110. What? How do people find a classroom around here? So Kudos to Ethiopian Time. I’m going to go change my clocks….